Netflix might be carrying different shows in different countries, but for Taiwan, there's a Japanese series called Saboriman Kantarou (さぼリーマン甘太朗), about a dessert-loving salaryman. As Japanese as it can be, this show ventures into the leading actor Kantarou's mind when he tastes all the wonderful sweets in Japan. 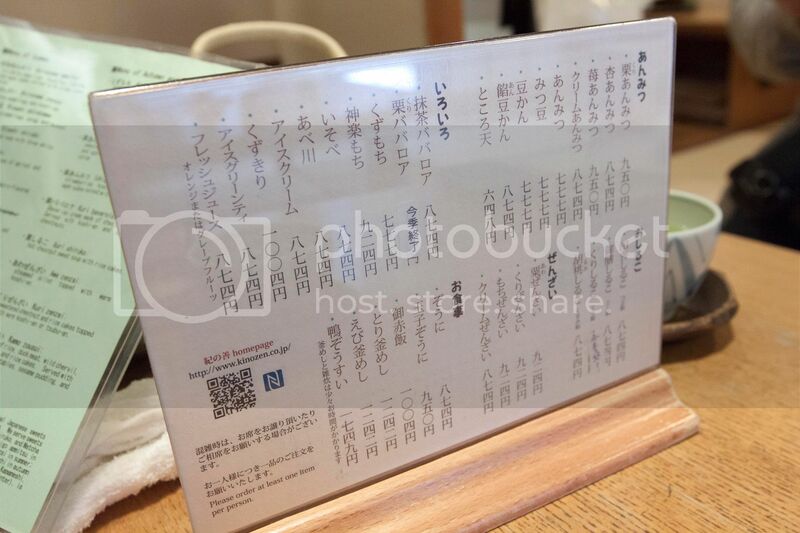 Put the semi-exaggerating reactions aside, it provides a good list of where to eat in Tokyo. So there I was, at 紀の善 Kinozen, where the leading actor figured out the meaning of "wa sweets" with matcha bavarois. 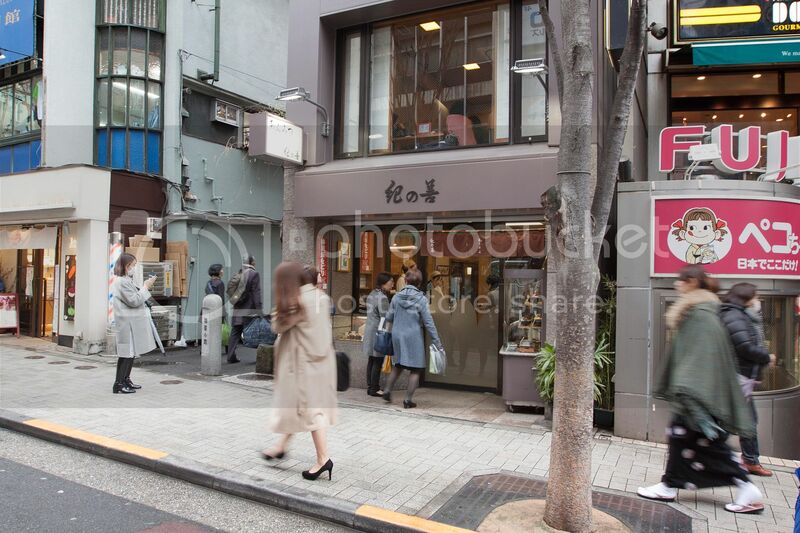 According to the TV show, Kinozen was a sushi restaurant transformed into Japanese sweets joint. Current owner remodeled the place. It still has a Japanese soul, but with a few minor touches of western influence. 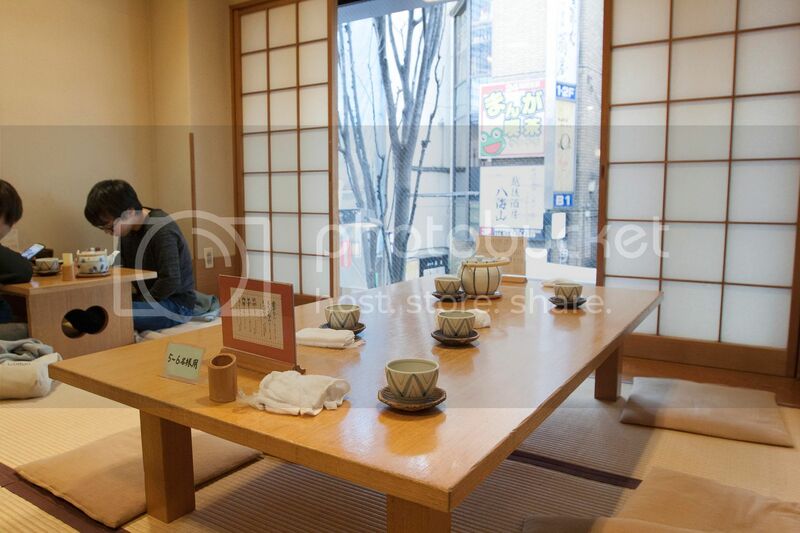 Two-story shop, since we came as a small group, we were taken to the second floor tatami room. Need to take shoes off and not the most comfy seating style, but in return, slightly more spacious with a window overseeing the street. 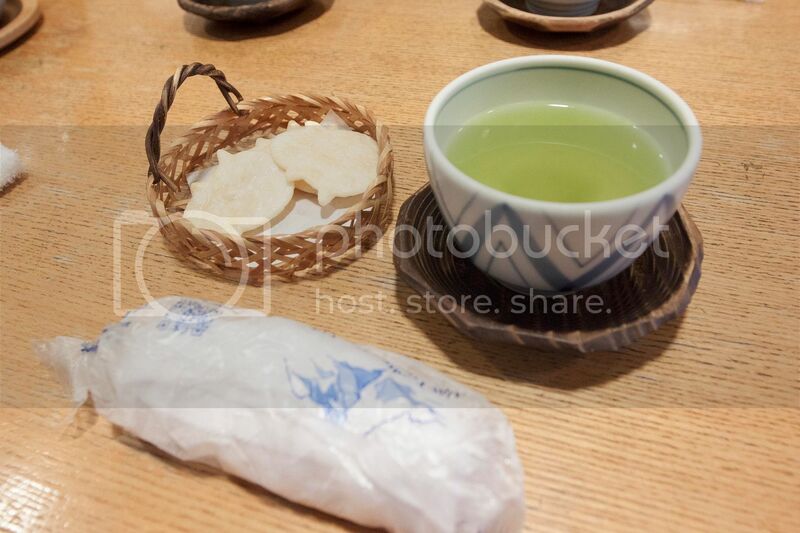 Welcomed by hot tea, hand towel, and some rice crackers. Here's one example what I meant by "a slight western influence." 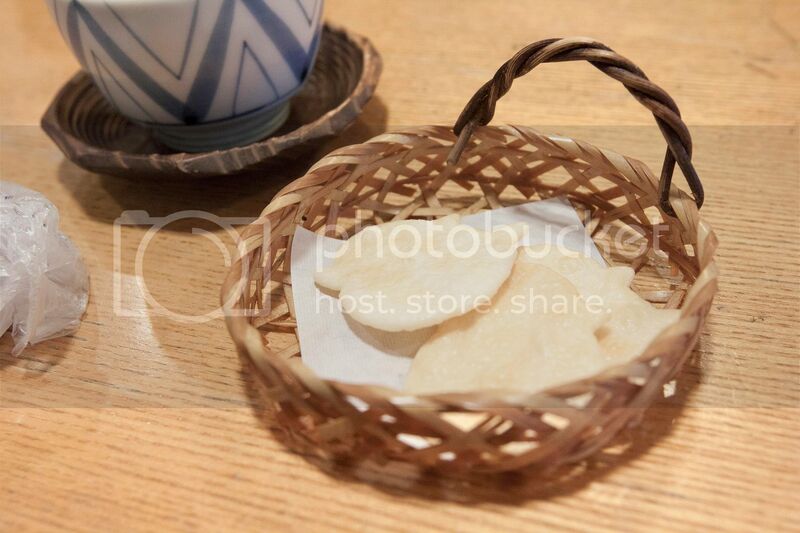 These piggy-shaped rice crackers were dusted with Brittany sea salt. Simple as it tastes, but delicate in a way. 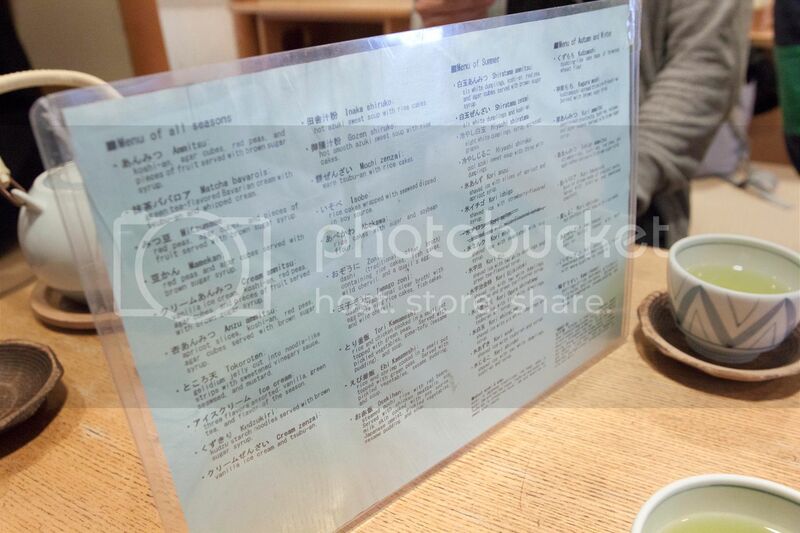 It's already hard to understand Japanese sweets names as a foreigner, but wait for it, the kind lady brought over this English menu that can be even more confusing. Just pick and point, as long as I get my matcha bavarois in the end. 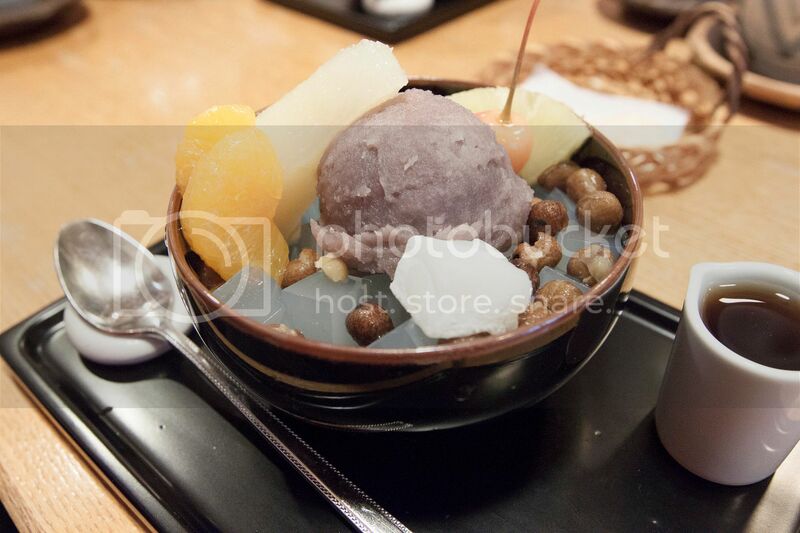 Red bean paste with agar cubes, red peas, some fruits, and served with brown sugar sauce/syrup. That's basically what it says on the menu. 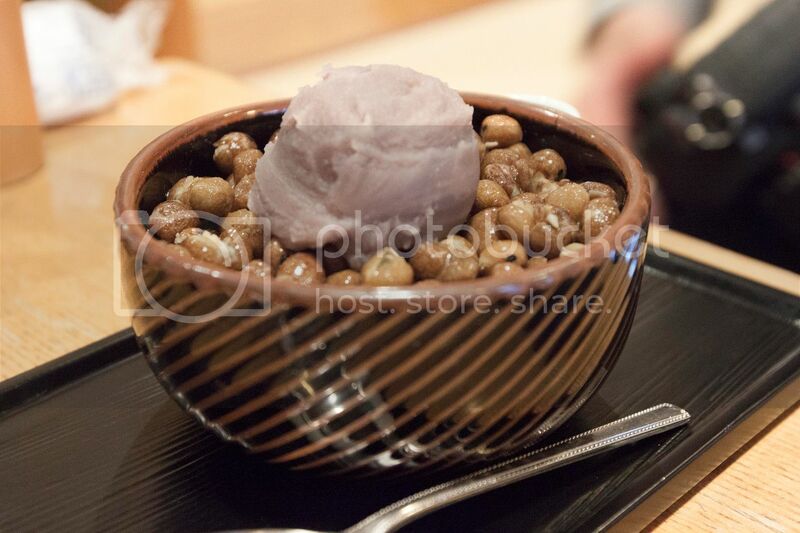 Kinozen uses dainagon azuki bean to make their red bean paste, supposedly one of the top varieties in Japan. The paste is smoother than it appears, with a soft and light sugary note permeating every pore. 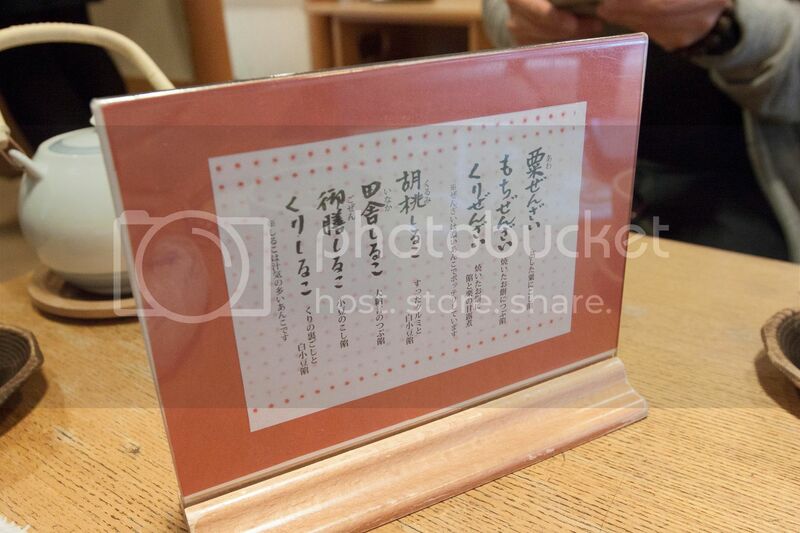 Noticed a few brownish beans, they call it red peas on the menu, but do not mistaken it from azuki/red beans. Harder texture with outer skin about 2.5 times the thickness compared to cooked red beans. But once smashed, you'll fall for perfectly cooked smooth pea paste hidden underneath. Also the most obvious difference, it's salty. Not sweet, but slightly salty. 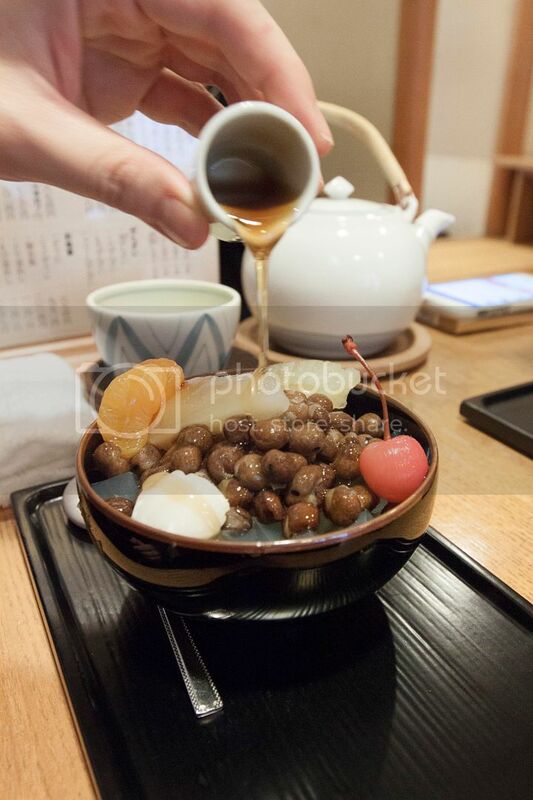 What a way to balance this bowl of Japanese sweets. 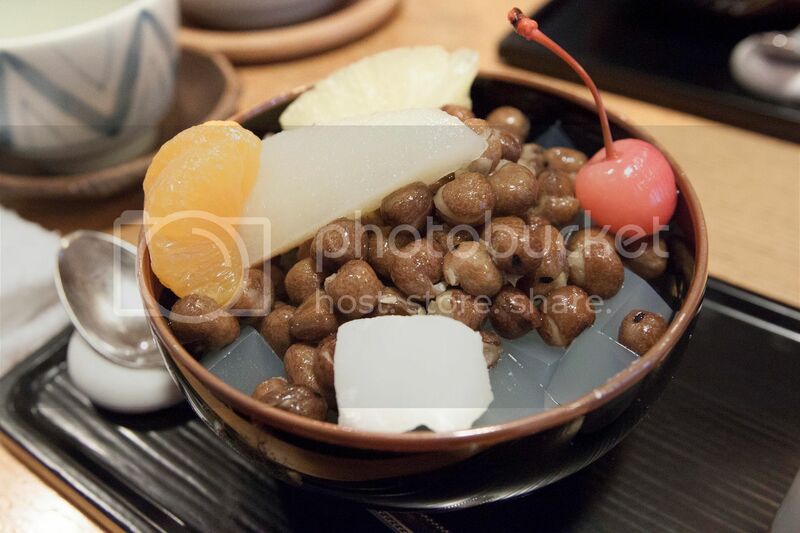 In addition to sweet and salty contrast, there is also a comparison between the fuller bite red peas and clean-cut jelly-like agar cubes. 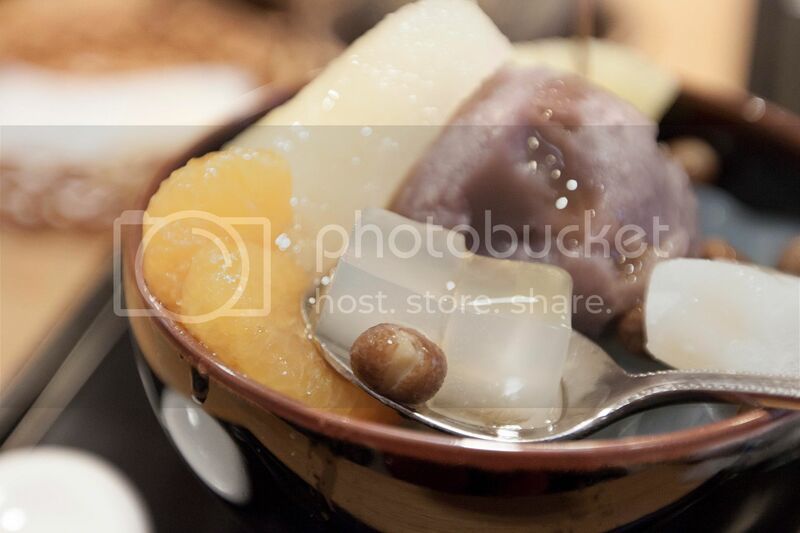 Agar cubes carry little to no taste, but offers a clean and refreshing touch here. Served with brown sugar syrup. 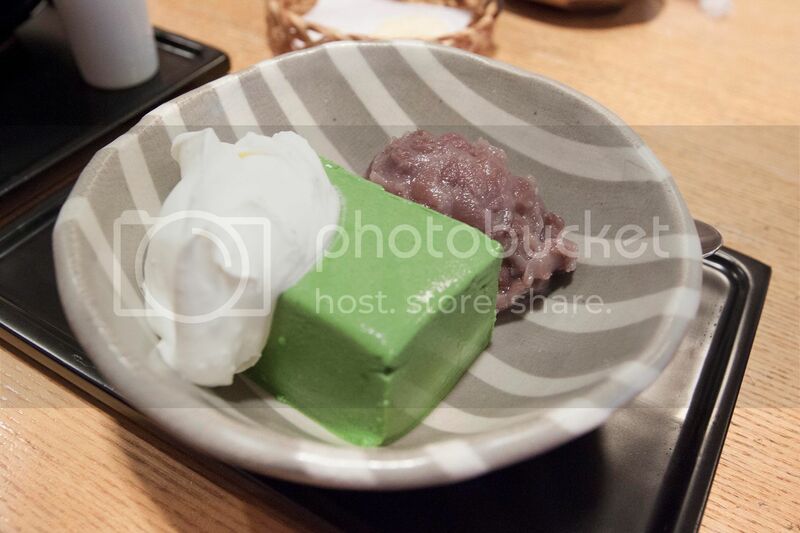 Composed by three simple but strong elements: red bean paste, matcha bavarois, and heavy whipped cream. The red bean paste was discussed earlier, so let's move onto the other two. 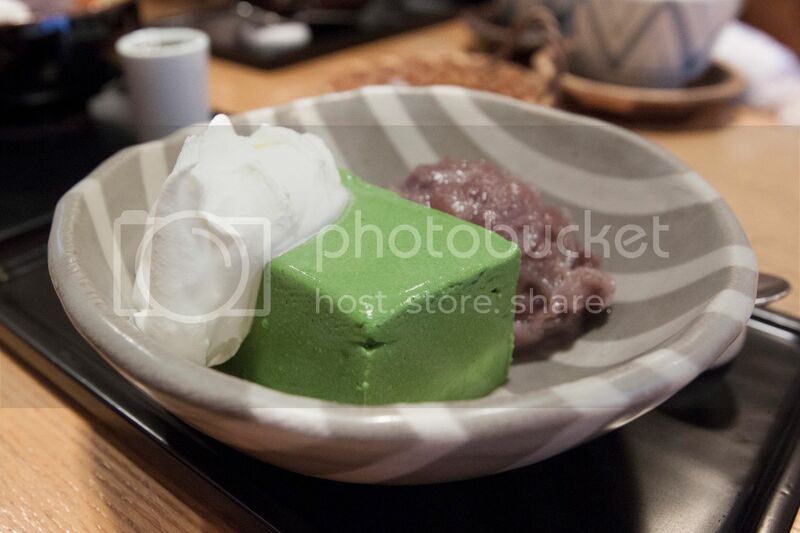 The matcha bavarois was packed with matcha aroma, very low or nearly no sweet taste at all. Just pure matcha in an almost panna cotta form. The whipped cream, oh man, it was so creamy. Stiff in a way but not hard. To put it this way, the whipped cream used here is more like a highly condensed whipped cream made by 46% Hokkaido milk, it has to be good. So the red provides sweetness, the white provides creaminess, and the green provides that adult-like tea and tannin touches. Separate these three elements, they are delicious on their own; but together, it become one greater self. So "wa sweets," not exactly Japanese but not western either. Wa, instead of simply means "Japanese," Kantarou thinks that this word is more like "mixing, blending, integrating." What a great translation for crossbreed dessert like the matcha bavarois I've just tasted. If you love matcha, do come here and give Kinozen's matcha bavarois a try. Moreover, if you love dessert, see if you can find Saboriman Kantarou on your Netflix show list. Been there and tried one of the recommendations on the show, it seems pretty legit and trust-worthy. Taste buds won't lie. Tuesday to Saturday 11:00 a.m. ~ 8:00 p.m.
Sunday and holiday 11:30 a.m. ~ 6:00 p.m.